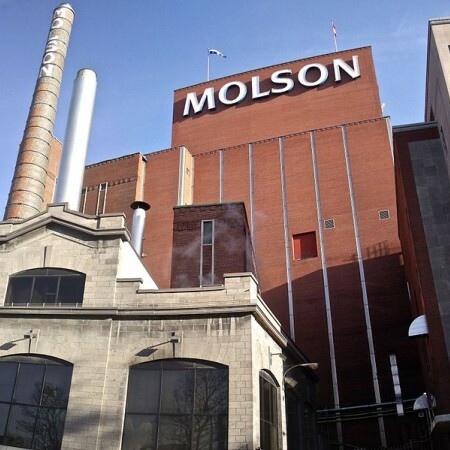 MONTREAL, QC – Molson Coors Canada has announced that its historic brewery on Notre-Dame St. in Montreal is up for sale, more than a year after its relocation plans were first reported. According to CTV News, proceeds from the sale for the 12-hectare site are expected to be in the hundreds of millions, and will be used to fund the construction of a new brewing facility in Longueuil which is expected to open in 2021. Molson Coors spokesperson Francois Lefebvre notes that the company is “looking for a developer that will respect the heritage of the Molson family and the Molson brewery and also that will work in collaboration with the city of Montreal.” It’s also planned for Molson to retain offices, a small brewery, and museum on the site. For more details, see the full CTV News report.